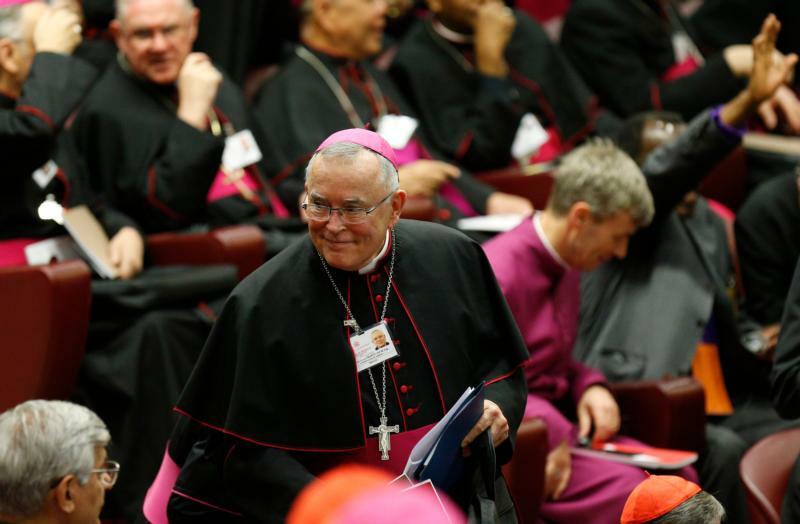 VATICAN CITY (CNS) — When a big group of people gathers to discuss something important, people start lobbying, even if that group is the world Synod of Bishops, said Archbishop Charles J. Chaput of Philadelphia. Pope Francis told participants Oct. 6 “we should avoid thinking of each other as conspiring against one another, but to work for unity among the bishops,” Archbishop Chaput told reporters at a synod press briefing at the Vatican Oct. 7. “And the pope told us last year, didn’t he, that we should speak with all freedom and listen to each other with all humility,” added Peruvian Archbishop Salvador Pineiro Garcia-Calderon of Ayacucho. A journalist asked the bishops about the possibility that national or regional bishops’ conferences would be given more responsibility for some matters, including pastoral approaches to marriage, given the diversity issues impacting families around the world. Responses to the questionnaire set out by the Vatican before the synod and the consultations bishops carried out in preparation for the synod showed that many of the most important questions raised “clearly differ between countries and continents,” Bishop Bonny said. “There is, however, a common theme in those questions, namely the desire that the church will stand in ‘the great river of mercy.’ It is important that the synod give space and responsibility to the local bishops to formulate suitable answers to the pastoral questions of that part of the people of God which is entrusted to their pastoral care. The individual bishops’ conferences have a special role in this.